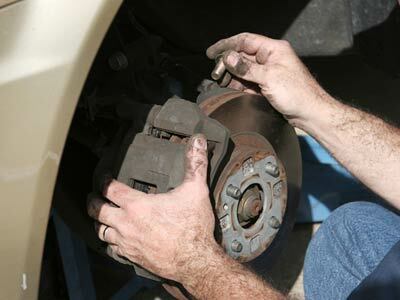 Are you looking for brake system repairs, including service for your pads and drums, in Johnson City? Look no further than Ponder Auto Repair. Our team of highly proficient ASE-Certified Auto Mechanics provides accurate and dependable car repair. We strive to provide our loyal customers with thorough and trustworthy auto service. The brake dashboard light is red, indicating an imbalanced system. The brake pedal is not responding quickly. A grinding or squealing during braking. Our team of skilled and personable ASE-Certified Auto Mechanics provides brake system repairs, including service for your pads and drums to car owners throughout Johnson City. We boast the experience, expertise, and current technology to accurately ensure your brake system is performing in optimal condition. We strive to provide Johnson City and surrounding areas with world-class auto repair service and customer service. We take pride in the high quality of our auto repair services, technicians, reputation, technology, and equipment at Ponder Auto Repair. We stand behind our work so our customers can rest assured knowing that they're in capable hands at our car repair shop. You will receive reliable car repair services when you work with our professional auto mechanics. To schedule an appointment for brake system repairs, including service for your pads and drums, contact us . We are located at 915 West Market St. in Johnson City, TN 37604.